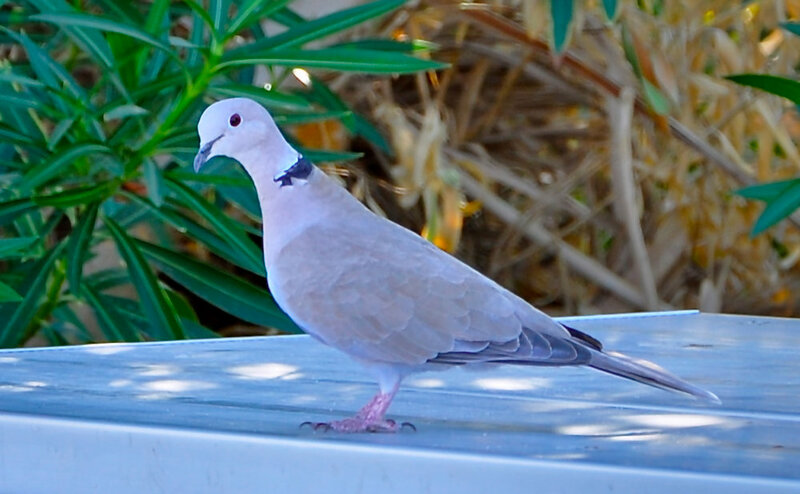 The Eurasian Collared-Dove is resting on a picnic table near the visitor's center in Death Valley National Park. The bird is larger than the more common Mourning Dove seen in the Mid-Atlantic. At first it appeared white but on closer inspection it is subtile shades of purple with dark primaries and grey on the back tail feathers. The bird is spreading across the Southeast and Southwest US.